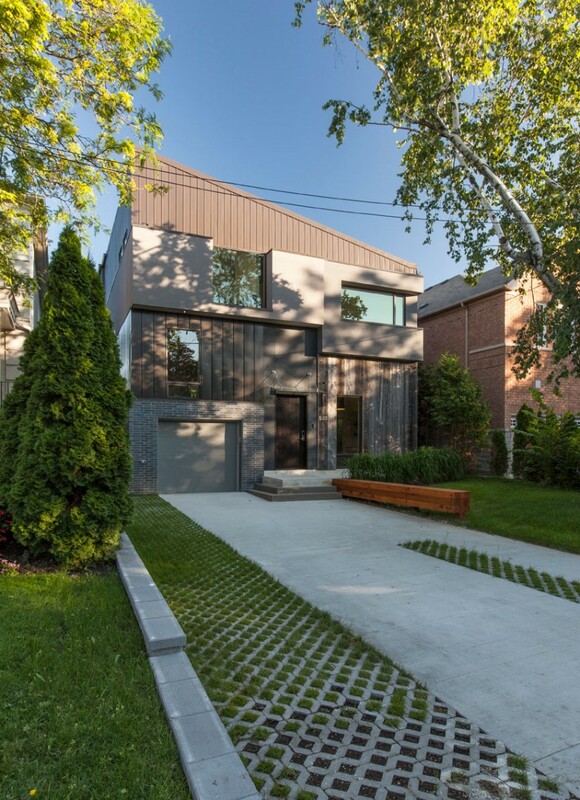 Tetris House is a private residence designed by Canadian architectural firm rzlbd‏. 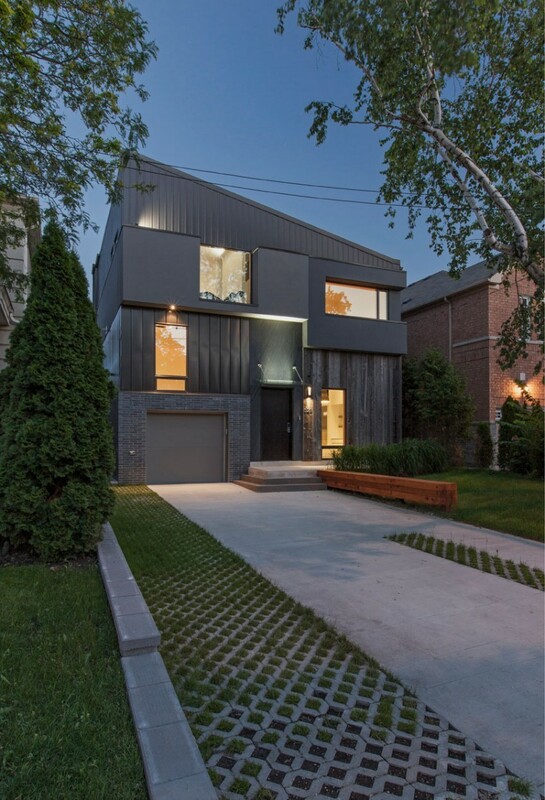 The home is elegant and warm, with impeccable design and an abundant supply of natural light filtering through the windows. “We have all played the game “Tetris” at least once in our lives. We were mesmerized by the magic of geometry and rewarded by our efficiency. For rzlbd Tetris is not just a game of block arrangement and fast performance, but it is a quest of effective design. 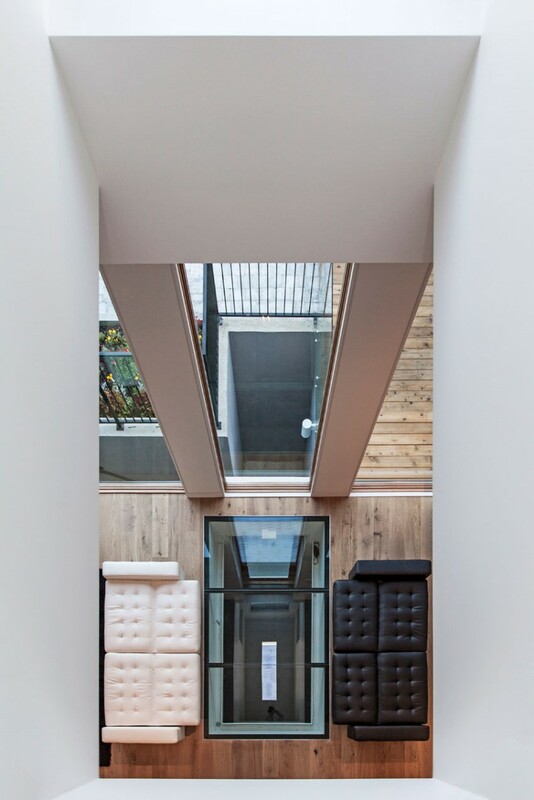 If a designer of space was to be structured as Tetris blocks, there would be virtually zero wasted space within a building. 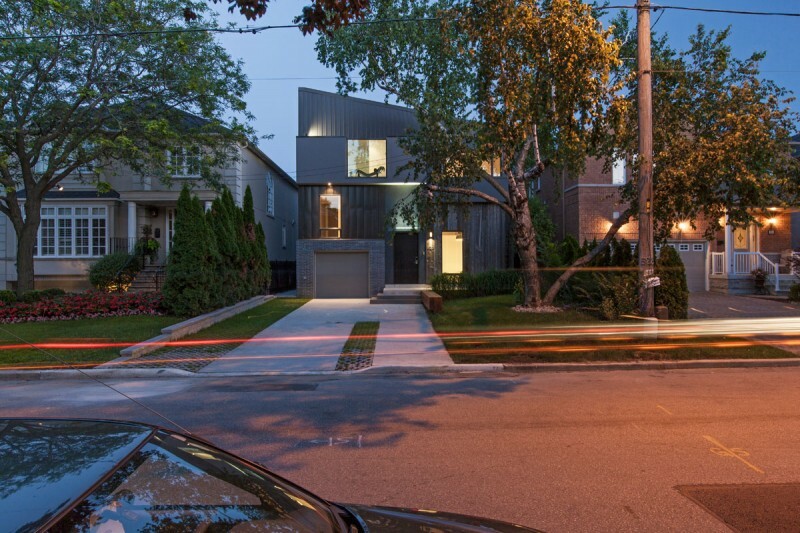 When a client demanded a program that seemed impossible to fit in a 40’ by 110’ lot, specially if one tries to respect a tight zoning for an infill project in a city like Toronto, rzlbd decided to practice the challenges of “no leftover space” with a simple rule in mind: every inch is a usable inch. The house is 3000 square feet, three-story structure that has the same program as a 4000 square feet house previously designed by rzlbd, 5 bedrooms, 6 bathrooms, 2 laundries, nanny room, home office, a large living/dining area and a spacious kitchen, bar with a wine cellar and entertainment area, covered garage and of course lots of storage area. 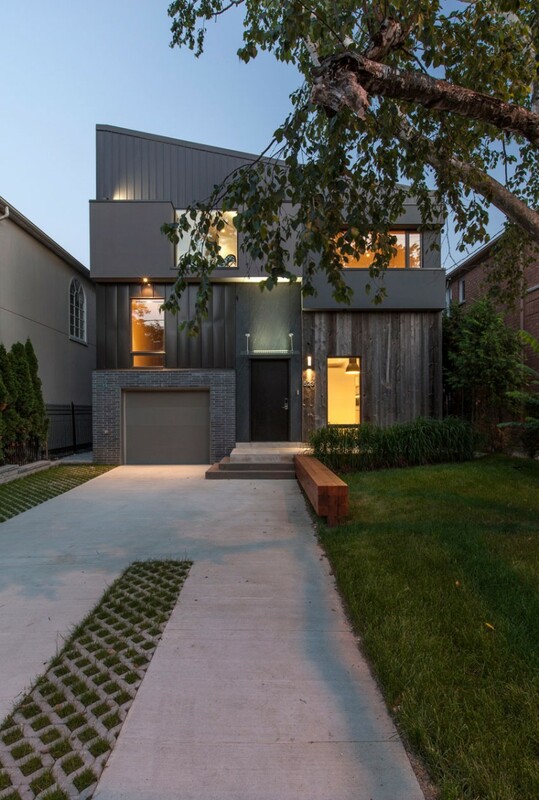 Although Tetris house is compact in program, it manages to channel sufficient natural light throughout the entire length of the house. 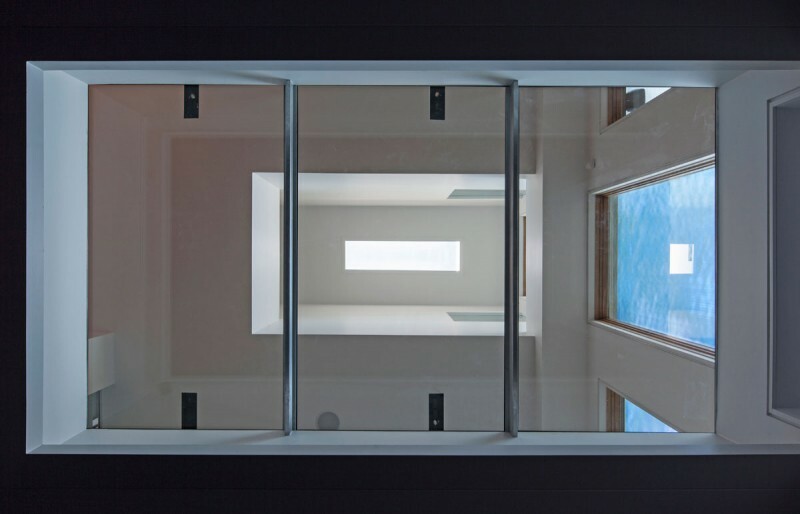 The light well that penetrates from the upper floor to the basement plugging into the living room with a glass-covered opening is an invisible Tetris element that helps bring a vertical light element into the house.